But it doesn’t end there. When you consider the additional requirements such as pre-configuration of hardware, assignment of IP addresses and secure passwords, management of on-site locations, resource and allocation of manpower, installations and status alignment throughout, both internally within the project team and externally to customers, it’s no surprise that errors, damages and poor communications can occur, despite the best intentions. Of course, in these situations the downsides can be costly in every sense; project timings and budgets can experience an increase if something goes wrong, which significantly reduces profitability and, in some cases, can have an adverse effect on a company’s reputation. It’s not only system integrators who can struggle with the complexities of a video security project. Feedback from technicians, installers and electricians has also revealed some of the issues they face: subcontractors mounting the incorrect cameras; delays in work schedules caused by prolonged preliminary work; confusion caused by workmen documenting the progress of a project individually; cameras found to be incorrectly configured on arrival; work requiring repeated maintenance due to environmental influences; time-consuming unboxing and re-boxing of products for labelling and configuration. The list goes on. It’s clear there is room for improvement to make the process more efficient, and safer, too. Ideally, there would be one simple solution that helps the system integrators and installers to easily manage and keep track of various projects during each phase, through to the final reporting. 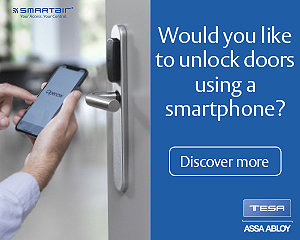 Designed and developed by Bosch Security Systems to provide invaluable assistance to system integrators, the Project Assistant app makes it possible to get a complete overview of a video security project, making planning, pre-configuration, commissioning and reporting more efficient, more transparent and more accessible. It’s available from various App stores, free to download, and suitable for installation on desktop, tablet and smartphone devices, and works on Apple, Windows and Google platforms. 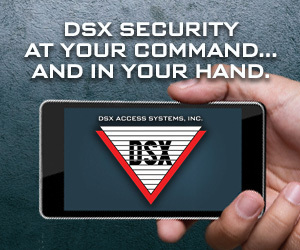 There were many criteria that lead to the development of the app, but a principal factor was making video security projects easier than ever before, from commissioning to installation, with enhanced control, transparency and efficiency at every phase. With the launch of the Project Assistant it’s now possible for project set-up and pre-configuration to start remotely, in the office, without the requirement of the physical cameras being present. Only the project plans, IP addresses and a password from the client are required for the system integrator to create a new project via the app (or an Excel-compatible file format). And, by giving you the option of adding one camera at a time, or setting up multiple cameras at once by inputting the password and a range of IP addresses for the entire project, it’s also very versatile. A helpful time-saving feature of the Project Assistant is the ability to automatically enter important information for each camera in the project, such as the IP address and password. Further information like camera name and location can also be added via the app without the need for the cameras to be physically present. Experience has taught us that there are times when it pays to resist the urge to add steps to a process, as they can over-complicate matters. This is why we’ve made it possible to create a set of virtual cameras within the app to set up the pre-configurations, therefore eliminating the step that involves unboxing and re-boxing of products for labelling and pre-configuration at the system integrator’s side, as the products can now transfer directly from the manufacturer’s warehouse to the client’s location just in time for installation. What’s more, this smart but effective change to your way of working has been found to deliver significant time savings of up to 30%. Once the cameras are physically installed on site and connected to a network, they can be matched to the virtual cameras previously set up in the Project Assistant. By simply scanning a QR code that can be found on the camera box, on the camera itself, or on an enclosed sticker sheet, the MAC address of the camera is identified and assigned to a specific virtual camera in the app. This method of matching the cameras writes the pre-defined settings in the Project Assistant directly to the camera (via Wi-Fi or cable) and is proven to eliminate errors and any mismatching of hardware. Once connected, the system integrator can set up the field of view, adjust image sharpness and apply additional camera settings if required. The Project Assistant is not only designed to support the management of a video security camera project at every step, it also makes final reporting easier. With a simple command every camera in the project can be contacted, checked and reported in a matter of seconds. A final client-ready report can then be delivered minutes later, complete with field of view snapshots. Also, projects set-up in the app can be shared via the Cloud across multiple stakeholders, providing them with connectivity and transparency by giving each one the opportunity to access a clear, detailed overview of the status at any time during the project. Achieve transparency and efficiency at every part of a video security camera project. 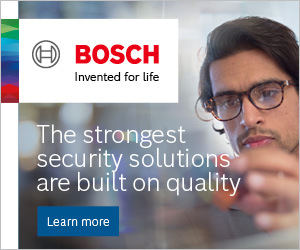 The Bosch Project Assistant makes project planning, pre-configuration, commissioning and reporting more efficient, so every video security project is faster, more controllable, transparent and error-free. Overall, it’s the smart way to plan a video security project.